I know you don’t tell other people that you’ve had that experience, that one singular time when you were alone in your house and it happened: something inexplicable. Maybe it was when your parents first thought you were old enough to be left alone without a babysitter and told you that they would only be out for a little while. You’d had the drill – don’t open the door to strangers, don’t try to use the stove, keep the door locked and just be good – everything would be okay and they would be back before you knew it. You remember, don’t you, that time? It was nighttime in the autumn and you were glad to have the house to yourself, even excited by the prospect. But as the minutes turn into an hour and then another hour, you begin to feel the weight of the evening growing on your shoulders and soon enough, it begins to dawn on you that, no, it can’t be, you know it’s impossible, but you could swear that you’re not alone in the house. First you just feel it, the way you feel it when you know you’re being watched. Then, you think you hear it, think you hear it because you’re not sure and you strain to listen and finally, you think you hear it again: that soft, clicking sound, that squeak from the loose floorboard upstairs, and your heart begins to pound like a hammer in your chest. Somehow, you’re not alone in the house. You know it. You begin to panic, but at the same time to tell yourself over and over, “No, it can’t be, I know no one has come in since my parents left.” You almost convince yourself and then, like a clock striking midnight, you see something from the corner of your eye and the darkness grows and you…yes, you…know that you are no longer safe. Something wants to get you. It’s almost at your throat. I know you remember. I do. Most of us have the moment of terror etched into our memory like a tattoo on a biker’s arm. We’re addicted to the memory because, though we never actually made true contact with that thing that came after us, we remember the sheer terror as we ran to the door when we heard our parent’s car turn into the driveway and we knew that somehow, Mom and Dad would send the evil away and we would miraculously be saved from…what? Saved from the monster in the dark? Saved from the ghost who seeks revenge? Or perhaps, we were saved from a spirit who didn’t wish to harm us at all. Perhaps we were frightened by something that didn’t mean to frighten us at all. Ghosts might just be that part of our imagination that reminds us of our own soul. Real or not, they haunt our thoughts, especially on dark, cold nights when we’re alone. We all have our ghosts. Strangely enough, there are times we will even invite the ghost in to stay awhile, so we can bask in the truth that there is life after death. Perhaps our ghosts are only memories we can see, after all, but real enough for all of that. 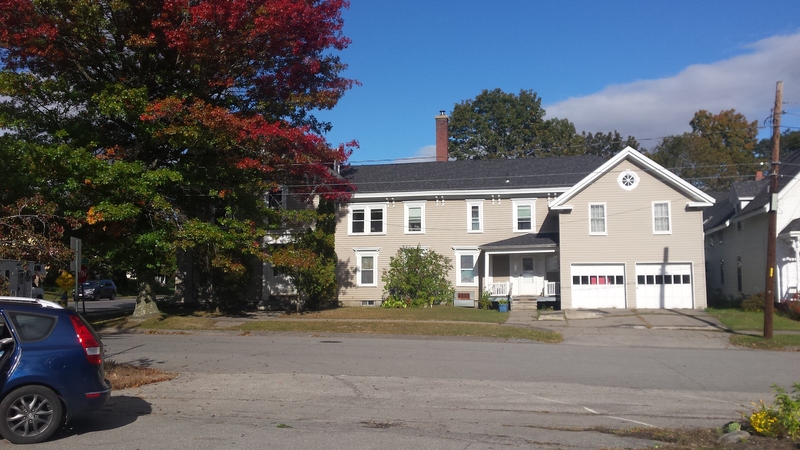 The northern city of Brewer, Maine has a ghost. All old towns do, especially ones like Brewer. This was a mill town, full of working men and women and their families. The folks of Brewer made ships that sailed the seven seas, bricks that built the cities of Boston and New York, and fine paper that filled the offices of senators and Wall Street magnates. Brewer was a town of workers, but on the weekend, it was a town of worshipers. It wasn’t so long ago that one man in particular led his flock like Moses through the desert: Father Thomas Moriarty of St. Joseph’s Parish. A former hammer-thrower at Boston College, this great mountain of a man was a worker, too – doing God’s work, keeping his parishioners on the straight and narrow, guiding his sheep with a stern but loving hand. In the mid 1920s, Father Moriarty was the kind of priest you rarely see today, a warrior of the Lord, a man of great stature and even larger personality. He impacted the lives of his parishioners deeply, and not just on the Sabbath. Father Thomas Moriarty was there to baptize you, to help you through your childhood, to administer the sacrament of marriage and finally, to give you extreme unction so your soul might pass easily from this world to the next. But he was also there to make sure your family was treated fairly, that you had enough to eat and that you didn’t freeze in the winter. He noticed things – he paid attention. Father Moriarty was a true believer. This was the time when the Ku Klux Klan had a large presence in the State of Maine, except they weren’t discriminating and threatening African Americans – there simply weren’t enough people of color in Brewer to warrant the KKK’s interference in that manner. No, their target was the Irish and French-Canadian Catholics who largely made up the congregation of St. Joseph’s. The story is told that one evening after he arrived in Brewer in 1926, Father Moriarty met with the local branch of the KKK as they paraded to his own doorstep in the small hours of the evening. Father Moriarty could not have been surprised. Crosses were burned on many a lawn in Maine in the twenties. The Irish had a long history of hardship in this part of the state. 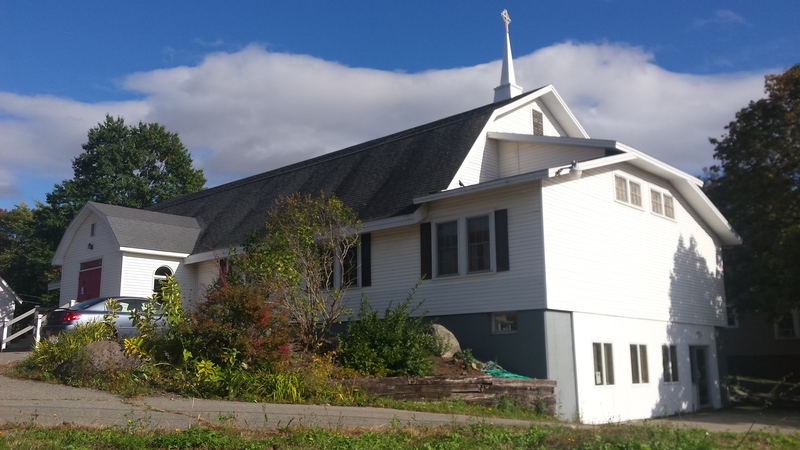 Back in the 1850s during the Know Nothing Movement, the Irish laborers who built St. John’s Catholic Church on the other side of the river in Bangor had to work at night and under guard to safeguard their work. It wasn’t unusual for the Catholics to have to stand their ground in this Bangor-Brewer area, but rarely did one man stand against so many. Imagine him then,a man in a long, black cassock and priest collar, burly as a Rugby player and as stalwart as Mount Katahdin standing his ground as a group of white-cassocked men challenge him to leave Brewer. Father Moriarty’s charge from his bishop was to establish the Church of St. Joseph, to found a new parish, and to help guide it through its birthing pains. There was no way that he was going to stand these white-clad klansmen trying to stop God’s work. Rolling up his sleeves, he was ready to take and then give back in style anything they had to offer. He told them to leave and never come back. One can imagine him standing his ground like Moses against the armies of Pharaoh, a stalwart defender of his people and his faith. We don’t know exactly what was said, but they never troubled Father Moriarty again. The church was founded and that was largely because of the actions of one man of devotion, strength and a will of iron. Father Thomas H. Moriarty was an Irishman who did not suffer fools and errant parishioners lightly. If you missed mass, you would be asked about it and you’d better have a good reason. However, if you needed anything, food, money for the doctor, a new coat for the harsh Maine winters, like the father figure he was, Moriarty made sure you were not forgotten. In the end, he served the people of St. Joseph’s in Brewer for over forty years growing old in their service. Even into his old age, he said Mass daily and continued to take part in the life of the community. It was said that he was a driven man, perhaps to the point where he frightened his flock, but as ever, everyone knew that it was better to have him on your side than not. 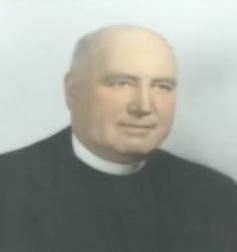 Father Moriarty was a fixture in the lives of the people of North Brewer until his death in 1969. When he died, his funeral service was held in the very church he founded. However, it seems that the good man’s work on this planet was not yet over. Strange things began to happen – strange things indeed. Father Moriarty had been the elder priest, the monseigneur of the parish, while a younger man, Father Richard Rice, took over the management and major duties until Father Moriarty’s replacement arrived. Two days before his funeral and burial, Father Rice was in the rectory. He was sitting in the rectory across from the church one late afternoon, trying to catch up on some tedious paperwork. He wasn’t alone: a young priest had been sent to Brewer by the bishop to help. Feeling tired, the young priest lay down on the bed in his room to take a quick nap before evening service while Father Rice worked on paperwork in his office. Inexplicable? Old houses breathe. They sway a little in the wind. Their floors sing when stepped upon. The sun warms the roof and when it begins to go down, the timbers snap and complain as they cool down. But Father Rice heard footsteps from a walker who simply wasn’t there. Curious. But he didn’t have time to linger – there were confessions to hear and a Mass to celebrate. At dinner, Father Rice asked the young napping priest if he had heard the footsteps. “Oh, that was probably Father Moriarty,” replied the priest.Father Rice smiled. The old priest had been his friend, his grandfather figure, his mentor. It gave him a little comfort to think that perhaps the old man was lingering before going to his eternal reward. But to his chagrin, the next few weeks saw a rash of unexplained events happening in the old rectory. More footsteps were heard, drawers mysteriously opening and closing, and that back-of-the-neck hair-raising feeling that someone is watching you continued to be reported. For the next seven years, strange occurrences continued to happen in the rectory of St. Joseph’s. Kreeft says that there is “no contradiction” between ghosts and Catholic theology. “Ghosts appear on earth, but do not live on earth any longer,” he says. “They are either in heaven, hell, or purgatory.” According to Dr. Kreeft, if Father Moriarty lingered, he was not really there, merely a kind of projection. But this projection kept himself busy over the years to come. Former Rectory of St. Joseph’s Catholic Church, now an apartment house. In 1976 a new rectory was built and the old one was sold to Dr. John H. Hart, a local chiropractor. When he bought the place, it was made clear to him that he was also buying a ghost. Dr. Hart didn’t seem to care. But as happens with so many people who seem unperturbed at the commencement of events, things began to happen in the old rectory that were curious and inexplicable. “I don’t believe in these things, “ said the good doctor. In the fullness of time, footsteps were heard running in the hallway in the small hours of the night when no one was downstairs. Dr. Hart attributed it to the banging of the heating pipes as they received fresh steam from the boiler in the basement. His wife heard voices when she was alone in the house, but because the house is nearby a very busy intersection, he reasoned it was merely the sound of passers-by. One night his wife had left a Corningware ‘unbreakable’ plate on the sideboard full of fresh-baked cookies overnight. In the morning the cookies were all still there, but the plate shattered beneath them. However, he reasoned, all plates break, given the right pressure over time. He’d seen it happen before. But then visitors stayed overnight with the Hart family. One of Dr. Hart’s college friends and his wife and baby were staying in the room at the head of the stairs. The child was in a portable rolling crib they had brought with them. The couple was awakened by the crying of their child, but when they rose from their bed in the small hours of the morning, the child was no longer in the room with them. They stepped into the long, dark hallway half mad with panic. In their excitement, they were brought to a full, gasping stop when inexplicably, the bathroom light at the end of the hall suddenly clicked on by an unseen hand. The light from the bathroom fell upon the child and her crib, in the hallway next to the bathroom door. There was no way the child could have moved itself and its crib out of the room, into the hallway and then down to the bathroom. It was impossible. Dr. Hart’s wife insisted that they were not the only inhabitants of the house. The footsteps always seemed to come from the same place, the room at the top of the stairs. “He’s pacing,” she explained to her skeptical husband, “he’s walking back and forth in the room, over and over again.” For the remainder of the time they lived in the old rectory, they heard footsteps and other sounds, including the sound of running water though all of the faucets that were, of course, closed tight. The Harts moved out in 1980. “Not long ago, a new family moved into Brewer. The wife was outside in her yard washing the windows of her new home when she noticed a priest walking across the lawn to greet her. He introduced himself and then asked whether she and her family were Catholic. The woman apologized, saying that with all the chaos of moving in she hadn’t had the time. The priest made her promise to be there with her family the following Sunday and went on his way. When the woman told her neighbor about the incident, the neighbor was a bit surprised. It didn’t sound like the behavior of the current pastor at St. Joseph’s. “What was the priest’s name?” asked the neighbor. Today, the old parsonage where the lingering soul of Father Moriarty is rumored to ramble is an apartment house. It is said that no one stays long in the place, with a steady stream of people coming and going. One might wonder and ask why. Father Moriarty isn’t the only spirit of a priest reported by their flock. The world over, there are tales that tell of servants of God whose work is not yet finished, who stay earthbound, for whatever reason they might have, reminding their old parish that they are still watching. Suffice it to say that Maine has its own resident priest spirit who does not yet rest in peace. One day, perhaps he will. Kreeft, Peter. Everything You Ever Wanted to Know About Heaven. Ignatius Press, 1990. Verde, Thomas A., Maine Ghosts & Legend: 26 Encounters with the Supernatural. 1989 Down East Books, Camden, Maine, pp.35-40.